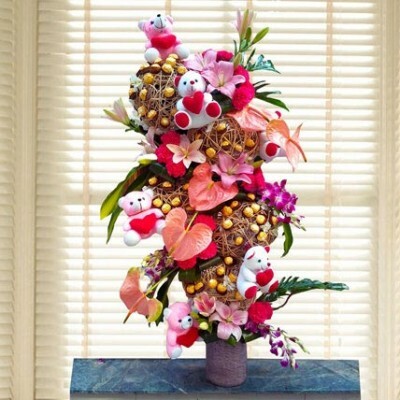 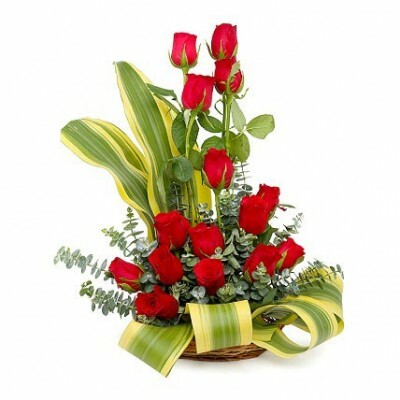 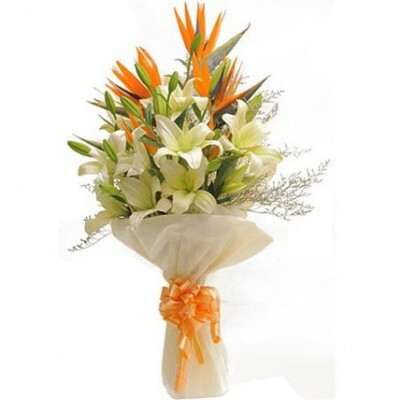 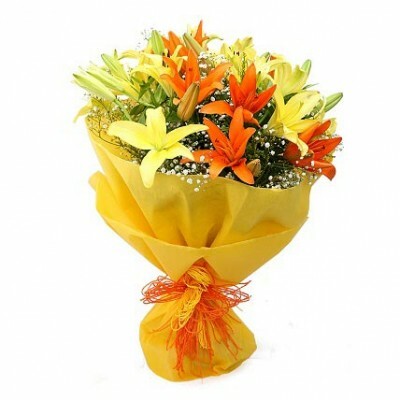 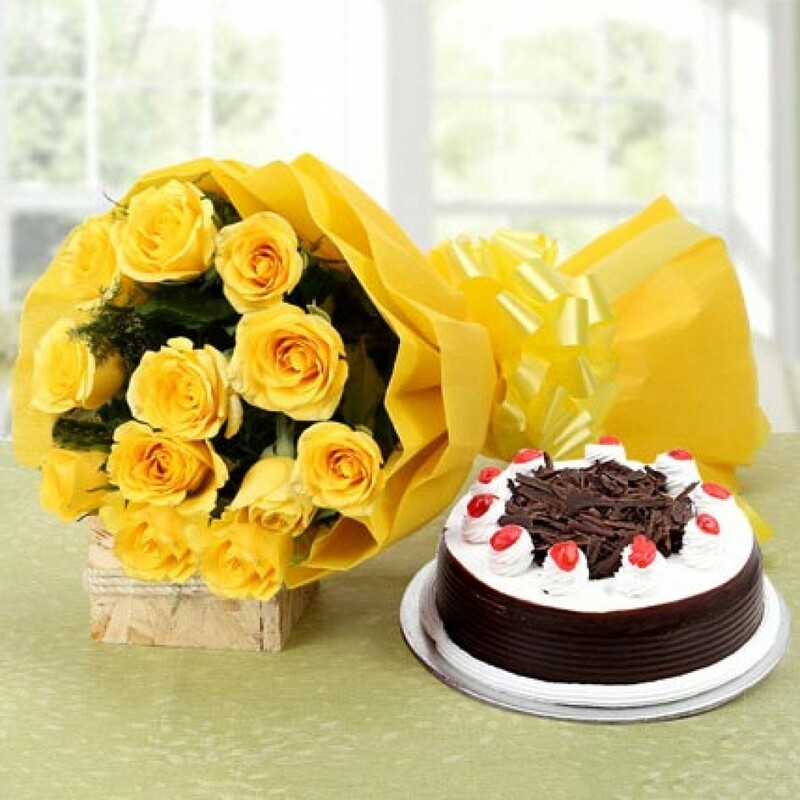 Bursting with colour, the bouquet is a vibrant mix of orange and yellow blooms, a perfect gift for s.. 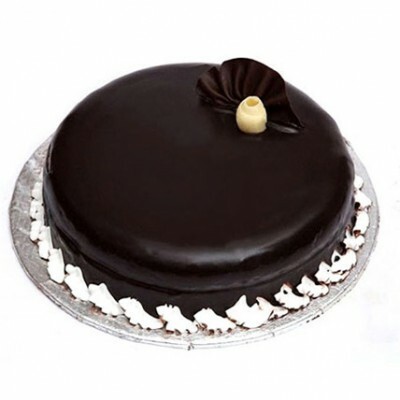 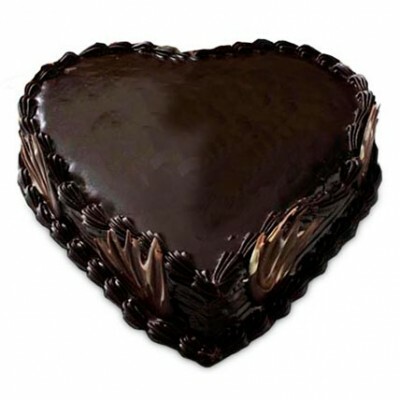 The Dark Chocolate Cake is an ideal choice to soothe the taste buds of all the chocolate-lovers. 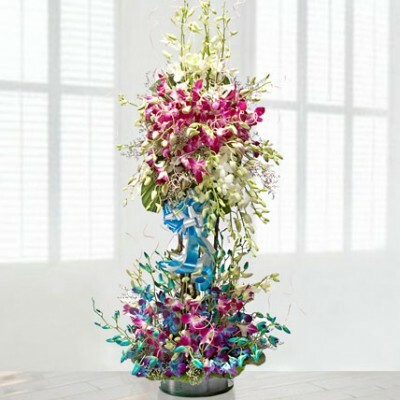 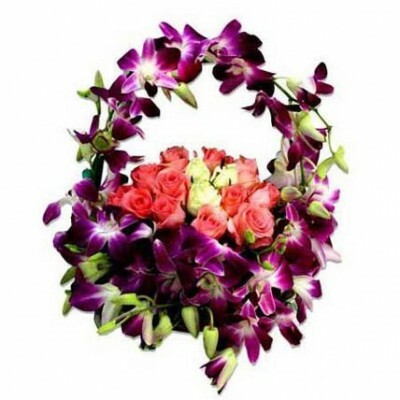 Wit..
A Lovely Arrangement of 50 purple & blue Orchids with lots of fillers & greens. 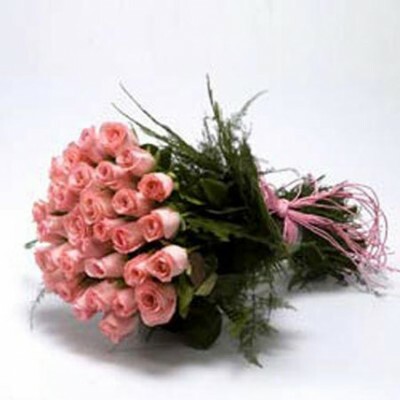 The approxim.. 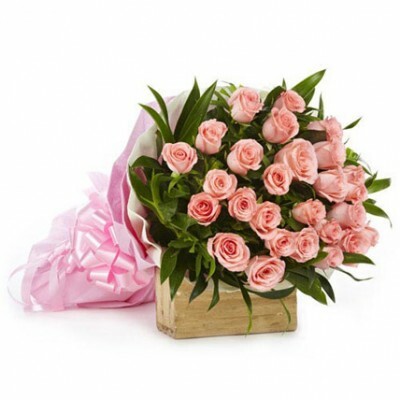 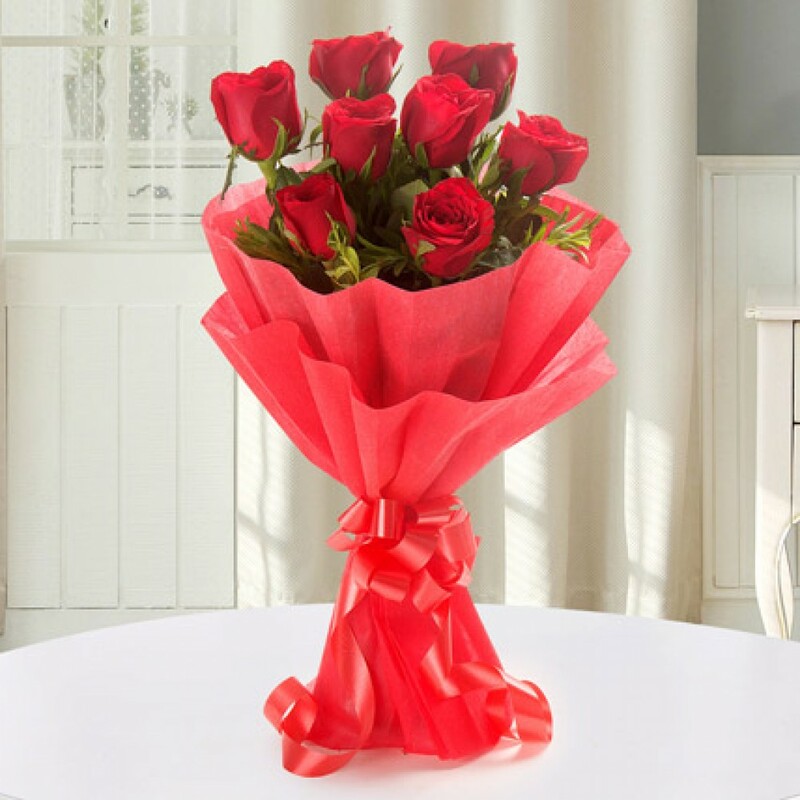 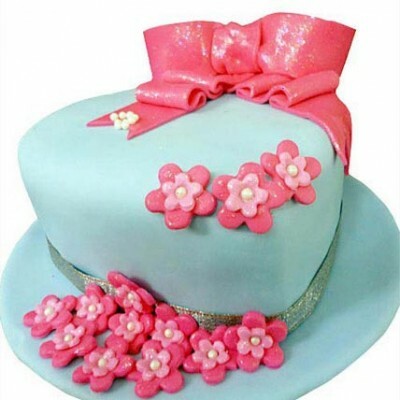 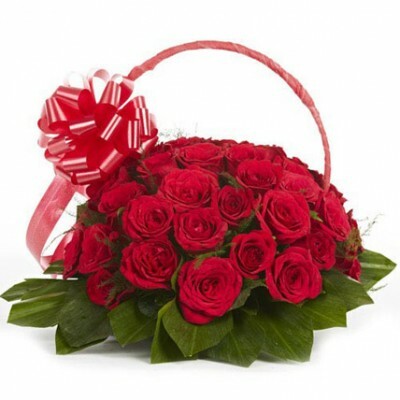 This hand crafted 15 fresh pink roses that are arranged in a pastel green color glass vase along wit..
For all the hat lovers of the world, Indore Online Florist introduces an exclusive fondant cake in t..
Indore online florist presents this lovely present for that lovely person in your life. 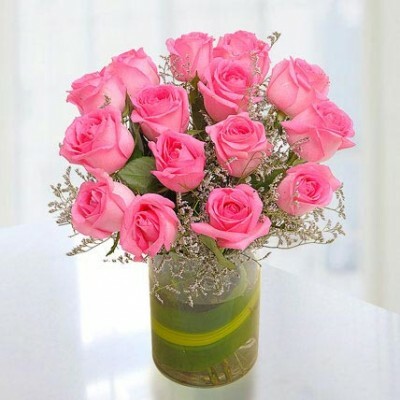 Bunch of 25 ..